This is a question that almost every house owner has probably wondered before. Selling your house on your own is not an easy process. Owners have to look for the buyers themselves, communicate with the buyers and do all the administration paperwork. Renting out the property is not easy as well. The owners will need to screen through potential renters and make sure they pay the rental on time. Some owners prefer to do all the work themselves to save big bucks – commission that usually goes to the real estate agents as payment. There are also some owners that prefer to appoint agents to do all the dirty work for them. Is the commission paid to the agents worth it? Of course it is but it is up to you to decide whether the benefits of appointing agents outweigh the money you can save. To help you make your decision, here’s a rundown of the pros and cons of appointing an agent. Real estate agents can be considered the experts in the property market. They know the market and they are familiar with the selling or renting process. An experienced agent can help owners fetch a better price and a higher rental income. Besides that, they can assist owners with the relevant paperwork. It will be disastrous if the contracts were wrong or missing out some paperwork. Real estate agents are responsible for advertising the property to attract tenants or buyers. Here, agents will help owners to vet through the pool of interested parties for the right buyers and tenants who fit the owners’ requirements. The agent will then arrange appointments with potential prospects for viewing. The owner does not need to liaise with the prospects at all. Agents will settle time-consuming tasks, from the appointment time to price negotiation and etc. House owners normally have very limited channels to market their properties but that’s not the case for agents. Others than advertising the property on the property platforms, the agents might have a pool of clients and leads who might be interested in the listed property. This will speed up the property disposal time. The good thing about selling and renting the property without appointing an agent is the landlord can save a lot. The agents will charge around 1% to 3% commission based on the property selling price. It depends on the agreement between owners and agents. As for rental, one-month rent is charged as commission for every closed deal. 1% to 3% may sound small and insignificant but it isn’t. Here’s an illustration: If an apartment is sold at RM550,000. The real estate agent will get from RM5,000 to RM15,000. If the owners are not in a hurry to dispose of their property, they can wait till the right offer comes along. However for agents, they rather close a deal as soon as possible so that they can get the commission faster. Please note that not every agent is the same, however, there are agents who are desperately in need of fast cash fast that will convince owners to lower their price below market value, just so they are able to sell the property quicker. At the end of the day, it comes down to whether the owners are willing to pay what’s needed to obtain the professional service from a real estate agent. Selling and renting the property on your own might be a cheaper option but it’s not a realistic option for everyone. Some owners just don’t have enough time and energy to handle all the back and forth liaising and paperwork. If you’re someone who likes to do the work yourself, stay tune. 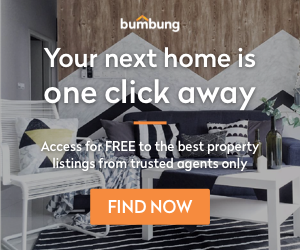 Bumbung will be launching a platform for the house owners to list their property very soon. Subscribe to us for the latest updates!